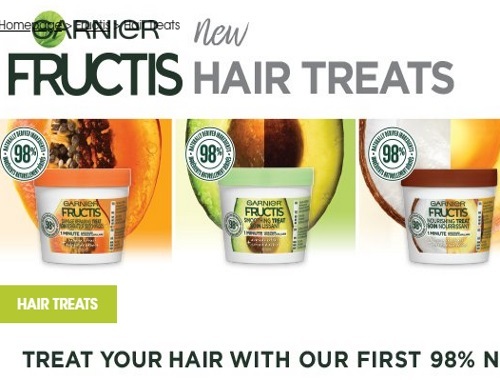 Get a Free Sample of Garnier Fructis Hair Treat Masks! Their first 98% naturally derived 1 min hair mask. Quantities are limited. 1 per person. Allow 8 weeks for delivery.